This is a classic designed recurve bow that is made for left- and right-hand use. The bow has fiberglass bow limbs and is laminated with maple. The string is made of nylon and the handle is 54” long. The riser is strong and is 15” long. The product is about 2 lbs. and is light to carry. The draw length is at 30” maximum can produce as much as 30 lbs. of force. The limbs are strong and flexible, which can tolerate an immense amount of energy. 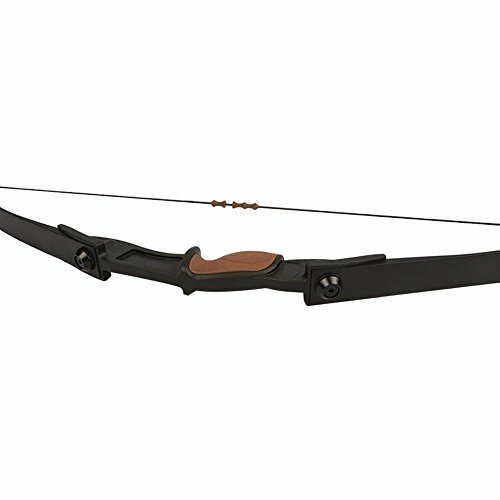 This Junxing Recurve Bow is good for short-range shooting or during archery events. The coating ensures that the product is free from rust and corrosion. The string has a finger guard and the grip is firm to hold. The handle is comfortable and lined with a thin cushion. 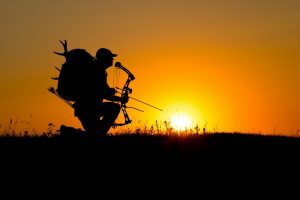 Arm and hand soreness is avoided because the bow is light and soft when held. The product is great for practicing and non-competitive shooting. The limbs are strong and will not easily break. This is a product that gives the user an introduction to the art of archery and the basic skills needed to learn it. The structure of the product is strong and durable, which makes it able to withstand the users’ unskilled handling. The limbs are made of fiberglass and are almost unbreakable unless subjected to extreme abuse. For beginners who are still in the process of identifying whether they will use it right or left handed, the product can be used by either hand. The draw weight of the product is not for hunting but can be used for short-range shooting competitions. 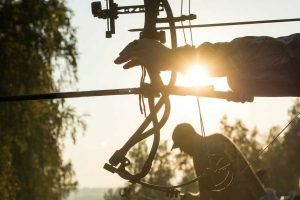 The power that is delivered to the arrow is just right, and beginners will not have an overwhelming experience when using it. The bow is light and is easy to carry. 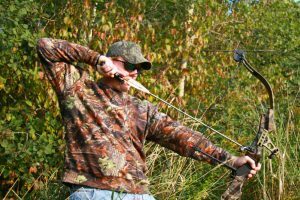 For practicing to hit, the bow will not cause hand or arm strain. The grip is comfortable and firm to lessen slipping or accidents. The length of the bow is just right to create a string tension that is manageable and powerful to bring the appropriate draw weight of 30 lbs. The body is laminated wood and is easy to hold; the user will be able to handle with ease and comfort and will not be caught with rough or splintered edges. The product comes complete with accessories and has a fast and simple assembly. For beginning archers, the bow mimics the classic arrow design and makes the user get the feel of archery. The wood finish is beautiful and done neatly and polished well. 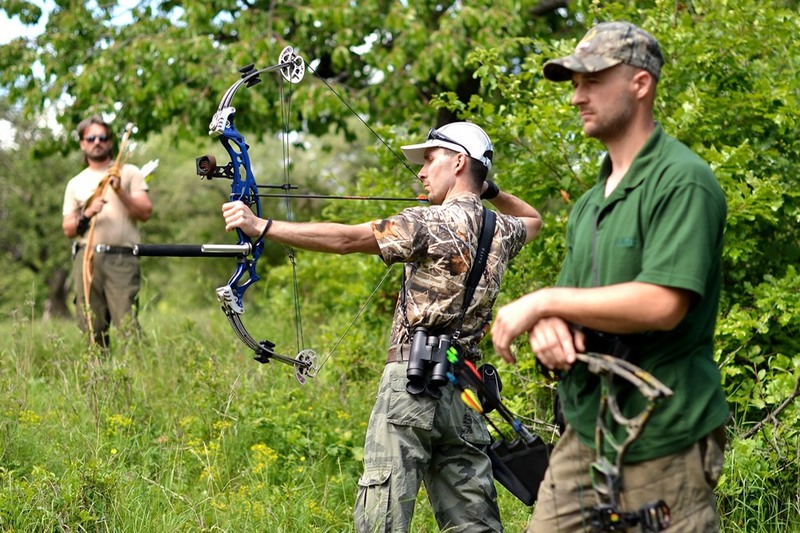 The bow is great for allowing amateur archers to develop a sense of good aim, posture, and weight distribution. Beginners can also use the product to practice how to apply the proper tension and force to make the bow go further, and with higher speed. 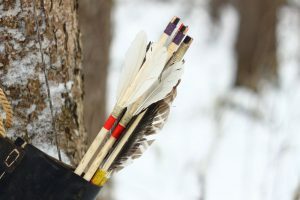 Aside from draw strength, the string has finger guides for proper and protected arrow placement. Drawing is smooth and the tension is manageable. Customer service is good and responds quickly to queries. Users can use the customer service facility to ask about assembly or parts replacement. For a beginners’ bow, the product is reasonably priced. 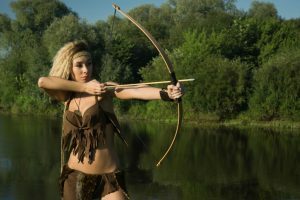 The bow is only for beginners and for learning the basic techniques of archery. The draw weight is not powerful enough for hunting and animal penetration. The string only has a limited power and can only go short distances. 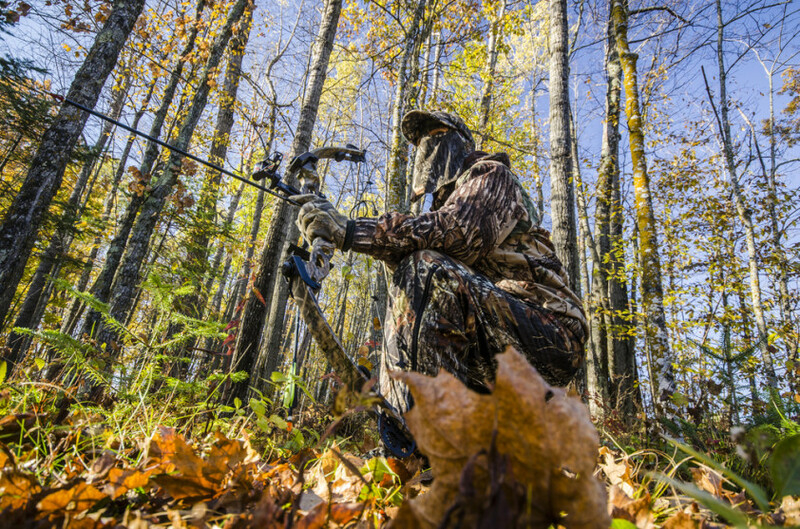 The bow is also not intended for rugged terrain or for hunting trips. The product is only good for practicing in indoor ranges. When subjected to heat, the handle deforms and the string loses its center; the handle and the string warp and become deformed. 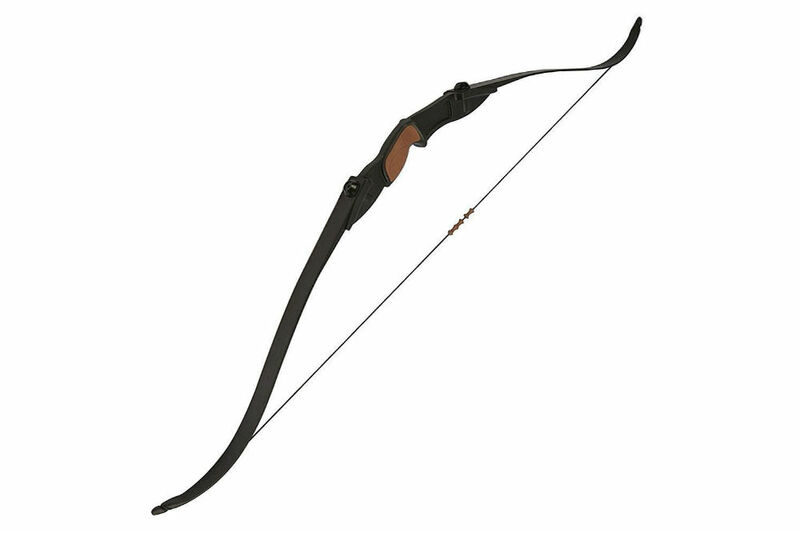 This recurve bow has a classic look and is best for beginners and archery amateurs. The limbs of the bow are made of fiberglass while the handle is protected by a cushion to make the grip firmer in the hand. The string is made of nylon and can generate enough power to the arrow when drawn. 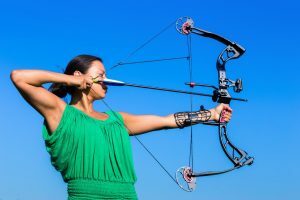 The bow is great for indoor archery venues for practicing, and is a great starters’ bow to learn the basics of archery. The light weight of the bow makes is easy to carry and will not cause strain to the user. The overall look of the bow is the same as vintage bows with a smooth maple finish. However, the Junxing Recurve Bow is only for beginners. It cannot be used for hunting or be brought outdoors. It is not resistant to heat.